The quality of the facilities, training courses and organizing events and competitions has earned the La Manga Clubnumerous prestigious international awards. The Football Centre is made up of eight natural grass FIFA standard sized soccer pitches. Combined with the amazing facilities, this resort is a prime training and competition venue for top international clubs and national squads. Run by FA/UEFA qualified coaches of different ages and levels makes the ideal setting for the resort’s own junior football academy. The soccer camps are aimed at boys and girls aged between 7 and 17. 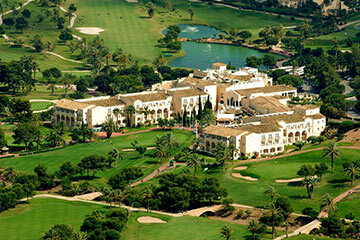 La Manga has built a renowned reputation with their organization of clubs at both national and international level. Visitors have amazing accommodation options with either the 5* Hotel Principe Felipe or the 3.5* Las Lomas Village. Outstanding venue and facilities. 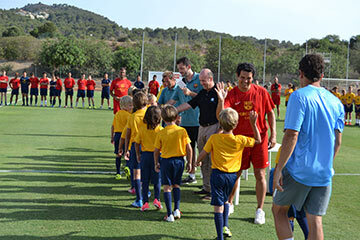 The La Manga Club soccer camps are top quality.